The third book in the funny and joyful series Katherine Applegate has called "tender and important," by National Book Award finalist Elana K.
Arnold. Bixby Alexander Tam (nicknamed Bat) has been the caretaker for Thor, the best skunk kit in the world...but the last day of third grade is quickly approaching, and Thor is almost ready to be released into the wild. The end of school also means that Bat has to say good-bye to his favorite teacher, and he worries about the summer care of Babycakes, their adorable class pet. Not only that, but his best friend is leaving for a long vacation in Canada. Summer promises good things, too, like working with his mom at the vet clinic and hanging out with his sister, Janie. But Bat can't help but feel that everything is coming to an end. 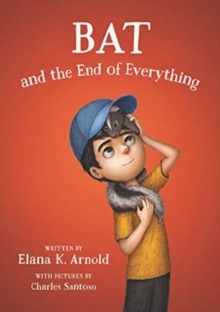 National Book Award finalist Elana K. Arnold returns with the third story starring an unforgettable boy on the autism spectrum.